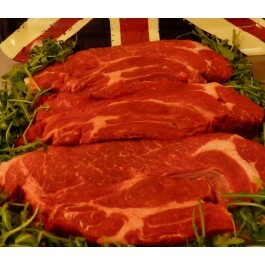 Well hung, locally produced beef, ideal for braising, or for a fairly quick cook stew or pie. Bought from 20 mile radius of our shops. If you require tracibility, send us an e-mail, and we will tell you the exact farm it has come from. One steak should feed one person with a healthy appetite. If you require the steak dicing, please email this request when ordering.